Discussions AD9850 idac default current??? What is the default current at idac output? We set RSET 3.01Kohm and idac output side resistor is 50ohm. We are getting a voltage of 5v and our vdd is 5v. 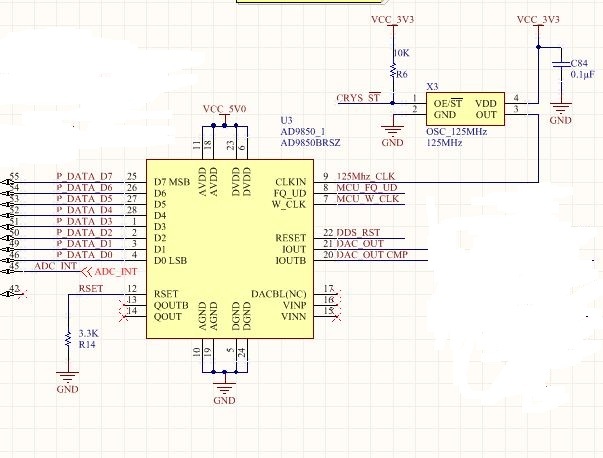 Can I have a circuit schematic at the output stage of your design.. 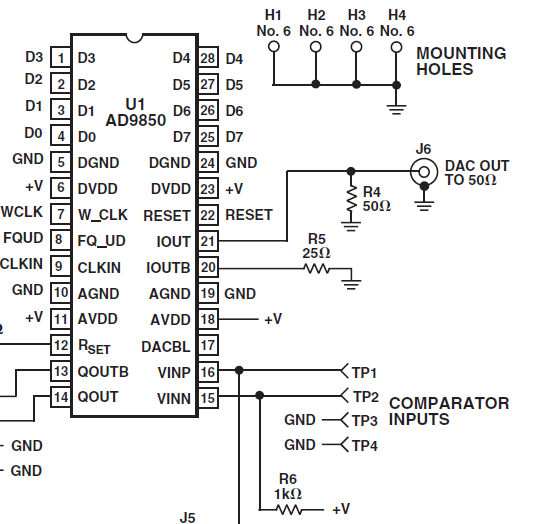 This was taken in the datasheet. Yes sure. I have attached the schematics. Yeah there is a issue in digital pin states, clash between mcu and dds rails. Whether there is any problem?? ?